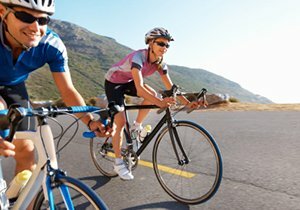 How Hard Is It to Ride My Bicycle Safely At Night in San Diego? How Can I Ride My Bicycle Safely at Night? 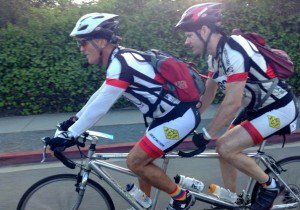 The Los Angeles Times recently ran a story about the Laemmle Charitable Foundation’s Operation Firefly, which is designed to educate cyclists on how to bicycle safely at night. Operation Firefly, which occurs annually from November to March, sets up pop up events at night throughout Los Angeles, where volunteers provide bike lights and information concerning nighttime bicycling safety to area cyclists. 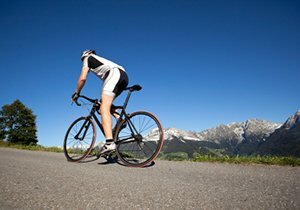 What Do I Need to Do to Ride My Bicycle Safely at Night? Install bike lights – Having front and rear bike lights makes you much more visible to vehicles, pedestrians and other bicyclists. In addition, your front bike light will keep the path ahead of you better lit, improving your visibility. Wear safety googles – These can be clear, rose or yellow. Wearing safety glasses will help protect your eyes from debris in the air, dirt kicked up from the road and the glare of streetlights and vehicle headlights. Put reflective tape on your clothes, gear and bicycle – This will reflect the light from streetlights and vehicle headlights to make you more visible to the rest of traffic. It can be applied to the frame of your bicycle, your bag, your water bottle and even your clothes. Wear bright clothing – Similar to bike lights and reflective tape, wearing bright clothing will help make you more visible to cars, trucks and other members of traffic. 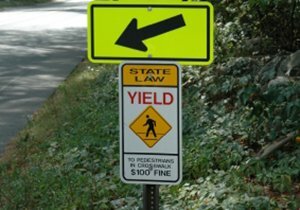 Try to ride in well-lit areas as much as possible – By riding in areas with ample lighting, you lessen the chances that a passing automobile will not be able to see you, which betters your chances of avoiding being hit by a car or truck. Practice riding at night on a lighted trail first – This will help you get used to riding at night without the added pressure of dealing with the dangers presented while cycling in traffic with cars and trucks. In addition, in many cities, bike trails have expanded to the point that you may be able to avoid riding in traffic at night and use bike trails exclusively for your commutes. Ride the bicycle that you are most familiar with – You want to ride a bicycle that you are used to riding, so that you do not have to concentrate on working its components and can keep your mind on the road and avoiding traffic collisions. In addition, you should ride a bicycle at night with fat tires that can absorb unexpected shocks from potholes and road debris that you may run over because it was not visible, and a frame large enough to support bike lights and other additional equipment you may need for cycling after dark. Plan your route ahead of time – Having a predetermined route that you know will be well-lit and light on traffic issues can make a huge difference if you are biking at night. Keep your guard up at all times – The fact is, whether you ride at night or during the day, you always have to make sure to concentrate on the road and stay very aware of the vehicles around you. However, this becomes especially necessary at night when visibility for you and the vehicles you are sharing the road with can be compromised in an instant. Take it slow – With your visibility limited, your reaction time and the reaction time of the cars and trucks around you will be slower at night. Therefore, you should ride slower to ensure that you have enough time to react to obstacles and traffic. In addition, if you need to, walk your bike from areas that are poorly lit or otherwise unsafe for nighttime cycling to areas where you can bicycle safely at night. 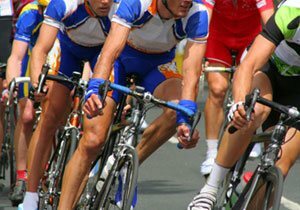 San Diego bicycle accident attorney Frederick M. Dudek rides frequently, including commuting to his law office, and understands the frustrations and dangers that cyclists go through. 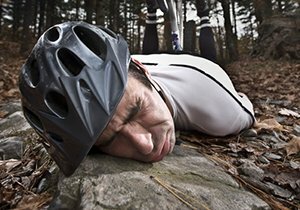 ← How Do I Treat the Most Common Bicycle Injuries At Home?